Born in Kerch. Graduated from Ivan Franko National University of Lviv as a political scientist. Analyst of the Institute of Political and Economic Risks and Perspectives. Wrote articles for “Ukrayinska Pravda”, “Den’” and other newspapers. Was founder and administrator of “Cooperative Movement” web site. 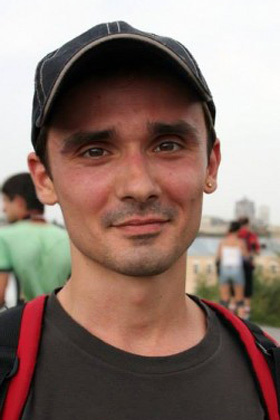 Often came to Maidan, was a member of “Black Sotnya”. Was helping carry out wounded people. Died on Instytutska street because of a sniper’s shot. Buried in Korosten (Zhytomyr region) where his parents moved.